Over half a million people in the UK are resorting to going to the bank all over the country today. But, it’s not just any old bank in the high street down in some borough of the East End of London. It’s the food banks that are popping up all over the place, even in affluent areas amongst the tree-lined squares where the posh au-pairs languish over frothy lattes and even the hired help do their groceries at the local delicatessen tucked away in some secluded cul-de-sac. The UK has a problem. No, correction the UK has many problems at the present time economically and socially-peaking, but one of the major problems is the complete failure of the social safety net of the inventors of the welfare state and the national health system that inspired hundreds of countries around the world. There is little else that is growing in the UK at the moment, but one thing is growing beyond all expectations is: food aid. Research carried out by the British charity, the Trussell Trust in conjunction with the Citizens’ Advice Bureau points to the fact that 50% of those that are today using food banks are having to do so because benefit payments and financial aid that is provided by the government has either been withdrawn or is being substantially delayed. But one thing is for certain, some might be happy that the state is cutting back on providing benefits for people that are financially worse off. But, when it ultimately boils down to it, it’s still people in society that are having to fork out to pay for what the state has decided to stop giving. When the state cuts down on benefits, those people go to charities and to the food banks to live. The charities and the food banks ask you and me to provide donations so that they can run those organizations and dish out the meager portions each week to the needy. The state is shirking on its duties and just passing the buck onto someone else. But, when all is said and done, it’s still the same old people that end up paying for the ones that don’t have enough. Access to food in our Western societies, one might have imagined, should have been a basic right. It no longer is. It’s not just the delay in benefit payments and withdrawals that are causing problems but also the fact that there are rising numbers of people who are unemployed and also underemployed in the UK. That means that incomes are falling and the food prices are also increasing at the same time. It is hardly surprising that there are more and more going to get food aid when the bottom 10% of the people who earn salaries in the UK are being hit 7 times harder than those in the top 10% income brackets by the public spending measures being taken. But, granted it is hardly the top ten that get the hand-outs from the state. The National Minimum Wage in the UK has risen by 12.1% in the last five years. But that is over two times less than the increase in food prices in the country, which has now reached 30.5% over the same period. While things tended to become cheaper in the immediate wake of the financial crisis, hikes in food prices kicked in between October 2008 and January 2009 around the world and have not let up on the rise since that time. Globally food prices increased in 2007 to 2008 by 58%! Food prices in the US are expected to increase by 3-4% across the board in 2014 alone due to severe droughts and adverse weather conditions in the country this year (according to the Department of Agriculture). However, some predict that prices may rise by up to 5% next year. It will take approximately 9 months for the prices that are experienced right now to filter into the high street shops and have an effect on the consumer. 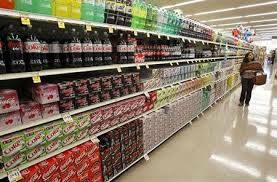 Prices will increase by 2.5-3.5% in 2013. Beef prices will increase by 5% (due to the lack of corn). Corn has increased already by 50% this year. Chicken will increase by 14.3%. Corn is lacking and seems central to the production of our food, having a knock-on effect on our cattle and poultry, for example. But, it is also the US policy of ethanol production that is having an effect on the uses that corn is put to. 40.6% of corn is today diverted from the food chain for fuel production. There are also the growing middle-classes in China and India that are having an effect on the demand of meat (requiring vast quantities of corn). 50% more food will be needed in the world by 2030. Farmland is being bought up and transformed into residential areas to fuel the demand for housing. Or rather, fuelling the desire to build (whether or not that housing gets sold is another matter). 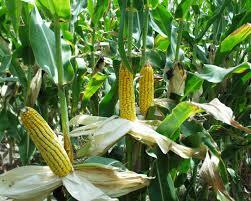 35% of production of corn is destroyed due to bad pest control and diseases. Energy-price increases have also resulted in higher food prices as well as political unrest in certain areas (Egypt’s current problem of unrest will result most certainly in an increase in wheat, for example). But just as in the UK, the USA placed more attention on prioritizing unemployment in the hope that it would be the answer to all their problems economically-speaking. Inflation became secondary and has been since Quantitative Easing has been in place. Purchasing $85 billion in Treasury securities each month in the hope that the low long-term interest rates will boost sending and investment and increase borrowing was much more important. Reaching less than 6.5% unemployment is a national priority according to the Federal Reserve. But, in the meantime, prices are allowed to increase with little worry. Americans fork out 8.6% of their incomes on average on food. On top of that 5.7% goes to restaurants and snack bars. It hardly seems fair when the majority of multinationals are avoiding paying their taxes and the wealthy are getting their money out to safe havens. It has been estimated that the quantity of money that is held in off-shore bank accounts by UK residents currently stands at about £355 billion today. Approximately £298 billion is left undeclared to the tax office the UK (HM Revenue and Customs). It is also estimated that this sum (with a rate of 6.2% on investment return and the Capital Gains Tax in the UK of 28%) would bring in the princely sum of £5.2 billion. David Cameron made some marketably spinning declarations in the few days before he took the hot seat as President of the G8 summit in June 2013 in Lough Lerne, Northern Ireland. EU loss of revenue from tax havens stands at somewhere in the region of $21 to $32 trillion today as it is stashed away somewhere in a tax haven in the world (many of which are British overseas territories, anyway: Bermuda, Jersey, Guernsey, Gibraltar, the Cayman Islands to name but just a mere few). One thing is for certain: the Federal Reserve will certainly have a tougher job turning a blind eye to the increases in food prices that will be hitting the country within the next few months at an alarming rate. The Fed will have great difficulty in telling us all that inflation doesn’t matter, even when the figures that they use exclude food prices (since they can rise and fall relatively quickly and may distort the picture of overall inflation). Core inflation, however, does not tell us the full picture and is not at all representative of the prices we’re paying when we walk into the grocery store. With unemployment still at 7.4% it seems that the focus will still be on that side of things rather than on controlling inflation. 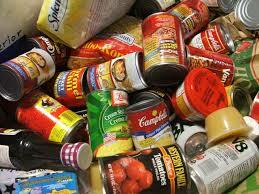 Will there be growing numbers of Americans on food aid like in the UK in months to come? Perhaps we should also question who exactly is getting the benefits from the hike in food prices. Granted the state is cutting back on measures that provide people with money, and the weather has had an adverse effect on the production of certain foodstuffs. But, someone is getting the money somewhere, aren’t they? I wonder where the money ends up. Just how much are we prepared to pay for our food today before we do something that will change that? How many of us will be walking that breadline?